 If you run wolf 1.4 version or 1.41b you might not be able to join w@r, f or PZ servers when the server plays sp map. here you can download the fixed client and put it in your wolf folder. this should work on FFmod servers. No further modification were made. NOTE: BACKUP YOUR WOLFMP.EXE FILE BEFORE REPLACING IT!